The Olympic and Paralympic Games were a huge success but many businesses have not yet seen the benefits and some have seen their sales dip. I have therefore added a new Business page of useful links for Leytonstone businesses and people looking to become self-employed, such as PRIME. These are not just organisations in Leytonstone but borough and London wide as well as some key Government Departments. Contact me if you know any more. The page includes some links to directories where shops and other businesses can be listed for free. Please share this information and if you’re in a local shop mention it to the shopkeeper — many local businesses do not appear to have websites or even Facebook and Google+ profiles. On the day after the first 4G contract was announced and with mobile phones increasingly being used for accessing websites and shopping, businesses can’t rely anymore on customers just passing through and traditional advertising media. A website like this one costs nothing for the software and there are no monthly hosting costs, just a few £s a year for the domain name (‘www’ address) — and time. There are other very low cost options too. Facebook is free. Twitter is free. YouTube is free. Google+ is free and there are many other free Google services to help promote business. The more businesses that have websites and are using key social media, especially Google, the more Leytonstone and Leytonstone businesses will appear in search rankings — everyone benefits. When the Olympic Park reopens there will be huge opportunities for Leytonstone, but for businesses who are not online it will be a huge threat. 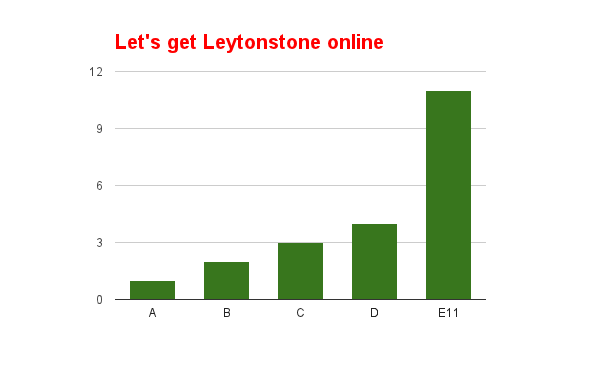 Many people in Leytonstone now have access to some of the fastest broadband in the country. 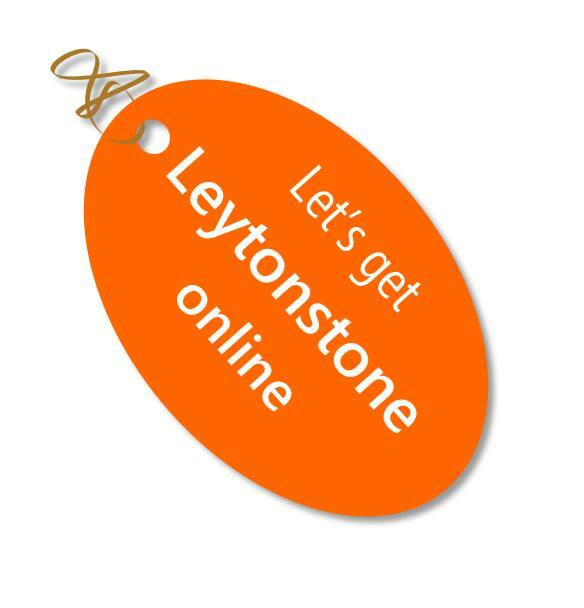 So let’s get Leytonstone online!